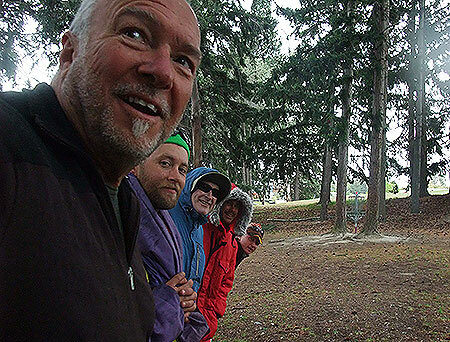 The 2014 Lords of Lismore Disc Golf Championships. Flying into Queenstown is always a treat but better still, this time I was met by Christchurch golfer Chris Davies in his classic Porsche for the drive over the Crown Range to the stunning Southern Alps town of Wanaka. Fresh snow the night before made for an amazingly picturesque trip. As always the day before the tournament the weather is stunning with sunshine and a slight zephyr from the North. Perfect for helping the Local Wanaka Crew mark out the course. We did the 10 metre lines around the 18 baskets at Lismore. Good chance for this reporter to have a good look at this course for the first time as well. Beautiful! 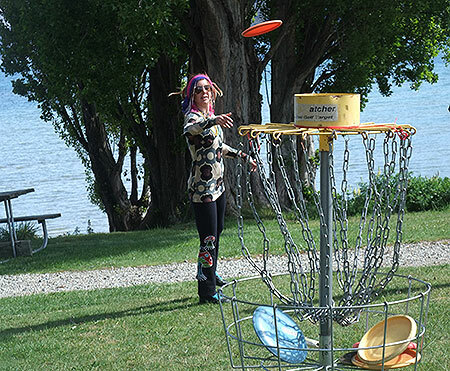 Friday ... and it's the South Island Doubles Championships on 18 temporary baskets at Eely Point right on the lake shore. No one had mentioned to me that the event was retro or I just didn't read the small print on the poster well enough so I was about the only one who hadn't stopped by the Op Shop on the way to the course to nab something appropriate to wear. Everyone, bar me, got right into the swing of things and looked amazing. Saturday and it's time for the Lords of Lismore proper on the exposed hills of Lismore Park. I say exposed because there's very few places to hide from the gale force winds that blew from dawn till dusk over both days. 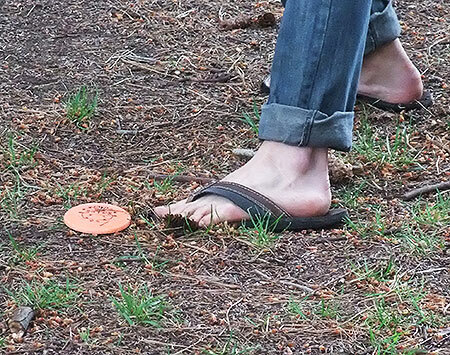 It wasn't uncommon for a 2 metre putt to end up 100 metres behind you. Most players came in with horrific stories to tell but still smiles on their faces as no-one was spared the wrath of the wind gods. The good news was the wind did drop a little for the 18 holes of Mini Golf on the Saturday evening on a course specifically set up around Amigos where we all dined that night. Come Sunday lunch time (and I must commend the locals on their damn fine catering), it was back to the course for the safari 'Super 6'. Gotta say this reporter loves the Super 6, or in this case a Super 7 with a tie for 6th. 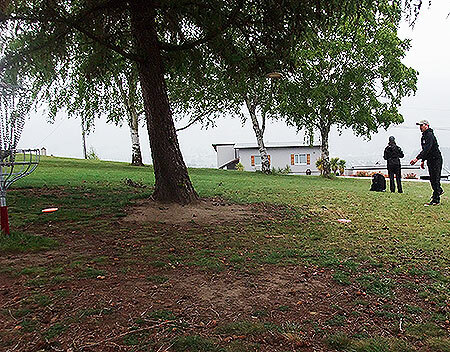 It's a great chance to watch the tournament's top performers entertain the gallery and this exhibition was no exception with the championship outcome only being decided on the last throw of the last hole. Congratulations to local player Hazen Simpson who came from 1 behind going in to the Super 6 to take it out by 1 over Queenstown's Hemi Te Awhitu. Lisa Te Awhitu took out the Woman's, Dom Hayden The Masters. The GM took the GM's, The Jaguar the SGM's, Robyn Agnew the WGM division and the Junior champ for 2014 is Ben Wiel-Lake . Thanks so much to the Wanaka Crew for hosting me and the event so well, I had a awesome time. Oh! He's a little hint for Wanaka visitors ... when ordering coffee downtown say you're with Hazen and it's half price. He and his amazing wife Jess are local legends. Open Misere - Nice looking office. TD Martin Galley puts the Friday doubles groups together. 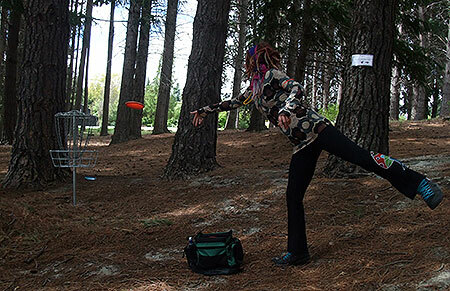 Dreadlock Holiday - Hayley Flintoft (Wanaka) getting in some practice for the doubles at Eely Point. Knit One Pearl Two Par Three - Hannah shows her style in her retro Op Shop outfit. 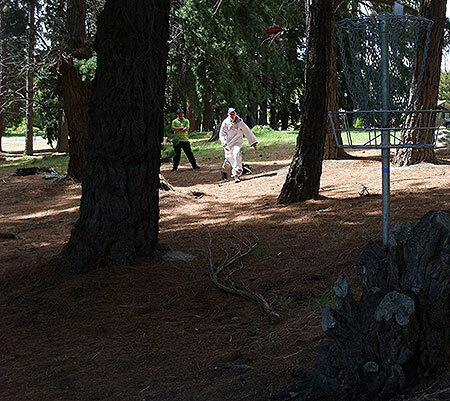 Really Eely - Akira Kuroe (Queenstown) going for the putt on hole 10 ‘Wishbone’ at Eely Point. 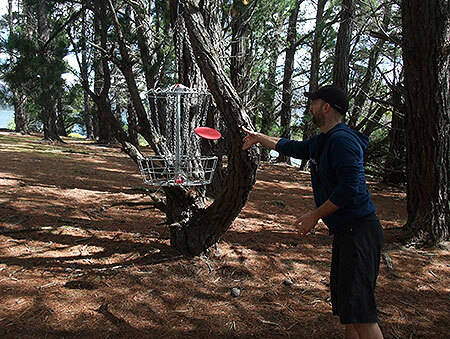 Hanging Around - Tom Mackay (Dunedin) putting out at the swaying, hanging basket on hole 11 ‘Treble Clef’ at Eely Point. 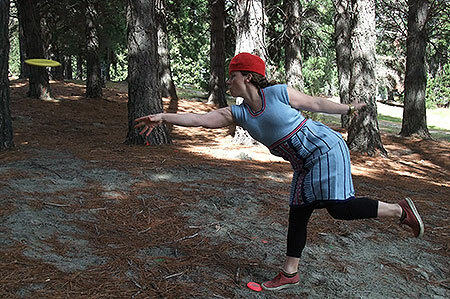 Style - Hayley Flintoft (Wanaka) in full colour, putting out. 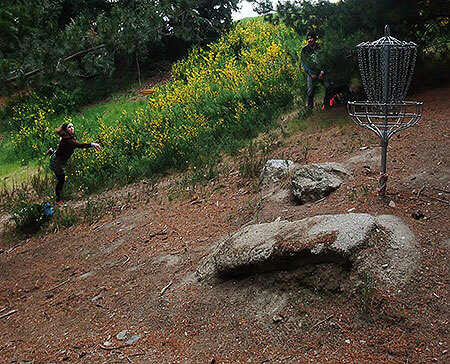 Blossoming - Hannah makes a wicked run up to the new pin placement on 17. Here it comes... - The gallery all keen to watch the tee shots on Super 6 hole 2. 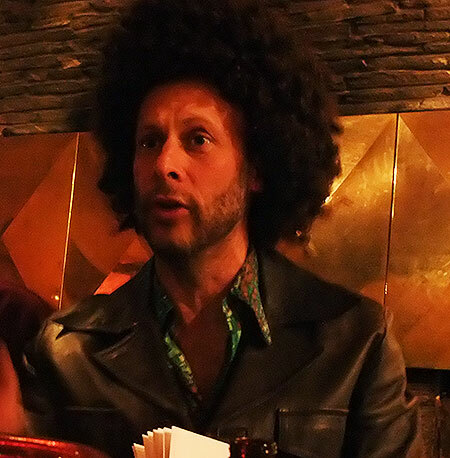 Hair raising! - TD Martin Galley looks just like he did in 78. 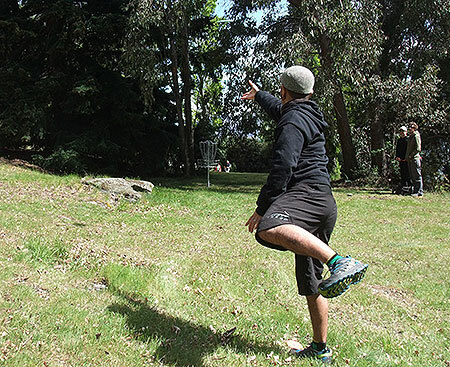 One for Wanaka - Hazen Simpson slots his gimme putt the take the 2014 Lords of Lismore title. 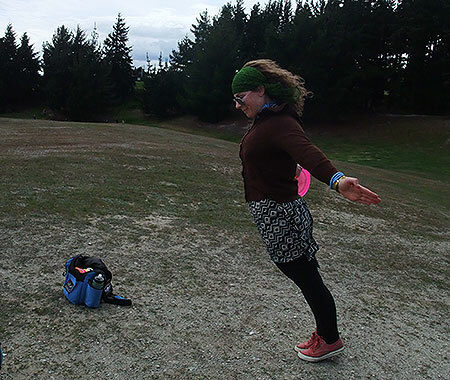 Wind Sock - Hannah Joynt (Dunedin) tests the breeze on the exposed hilltop 14 tee. 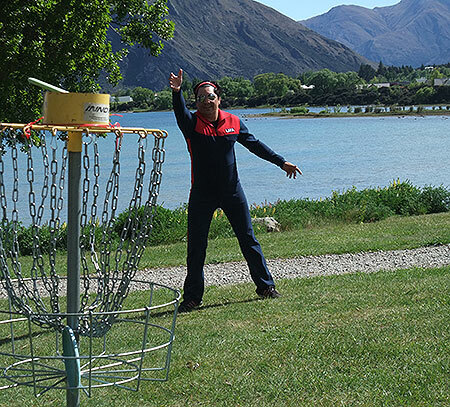 Jolley - Karl Jolley (Queenstown) in his tourney onesie. Redlining It - Karl Jolley (Queenstown) putting out with Eran Blumenthal (Queenstown) in full clench mode, looking on. 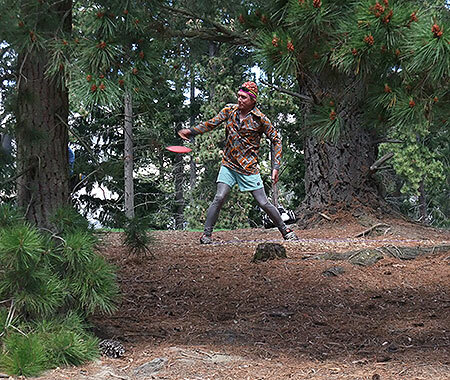 Camo - Patrick Maslen – ‘Paz’ (Wanaka) in full retro getup, giving it heaps. Exterminator - Looking like he out to eliminate pests, James Smithells burns one at the chains. Rocking - sporting retro stubbies Chris Dixon teamed up with Hemi for the Doubles. Kiwiana? 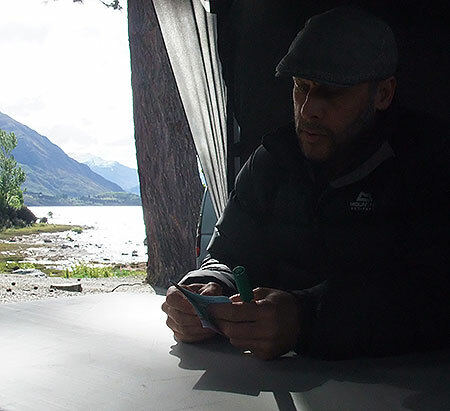 - For Queenstown brewer Eliott Menzies it was all about comfort. 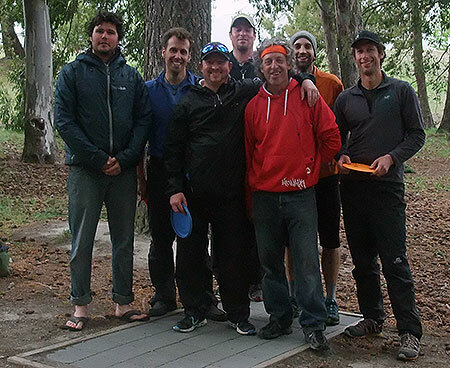 Top Knotch - The singles Super 7 at Lismore Park – Front row right to left…Dom Hayden (Wanaka), Robin Lilley Queenstown), Back row right to left… Hazen Simson (Wanaka), Tom Mackay (Dunedin), Hemi Te Awhitu (Qtwn), Matt Bew(Qtwn), Eliott Menzies (Qtwn). 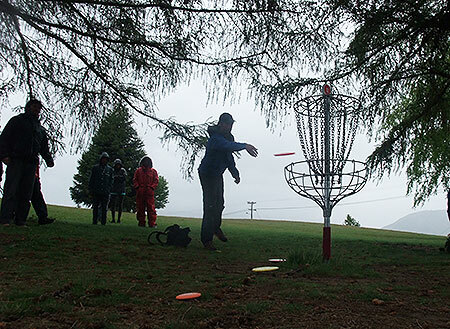 Can't watch - Caddy/wife Lisa Te Awhitu checks out the view as Hemi sends his Super 6 'must make' putt over the basket. Hazen - on his way to putting the LOL trophy beside wife Jess's Speight's Coast to Coast Longest Day silverware on the mantle. What a year for the Simpsons. Doh! Lake Front Chain Run - Hannah Joynt putts between squalls hoping her shot stays in basket 1 as a roller could see it miles away. 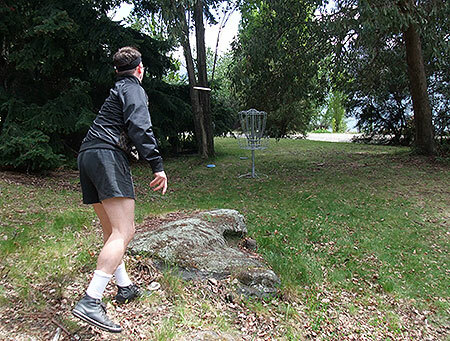 Curving Accuracy - Robin Lilly impresses the gallery with a great putt on Super 6 hole 2. Level Heading - Craig ‘Monki’ Crosbie (Wanaka) in action at Eely Point. 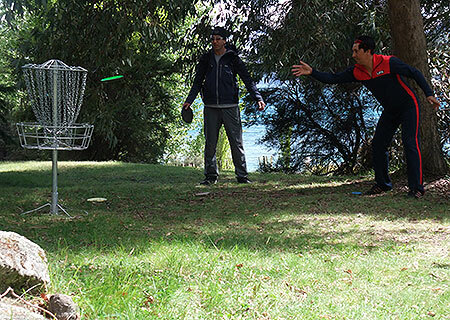 Dom Hayden (Wanaka) letting one go during the ‘Super 7’. Golf Fashion Weekly - Looking good! Hemi, all style. Mobile Gallery - The tight course on Eely Point meant there was always another group to check out. Visualize it, throw it - Robin Lilly lines up a putt. Spectators of Spectacular - The Super 6/7 gallery, loving the action. Yard Over Needle - Chris Davies marking out the 10 metre circle. The Wanaka 'knitting lady' has made a different piece of art for every basket. Pistol Pete Pose - Levi Rye lines up his putt during Mini Golf at Amigo's on the Saturday night. Pressure - Dom Hayden putting high but thankfully getting a rebound in off a tree with the gallery looking on. Orange Again - Tom Mackay in Super 6/7 action. Pinkie in the middle - Hemi putts right under Robyn's nose. 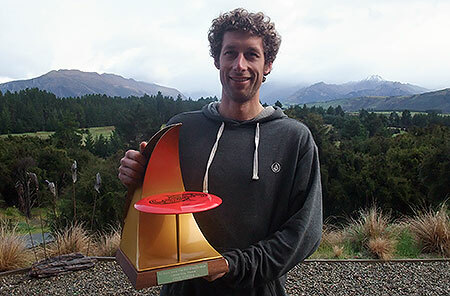 Alpine Ch - South Island Men's Doubles winners Eliott Menzies and Matt Bew of Qtwn.